Current market dynamics have experts agree that volatility is here to stay. U.S. Dairy customers are therefore encouraged to familiarize themselves with the tools they may use to protect their margin while looking to secure year-round dairy supply from the United States. This is just what the U.S. 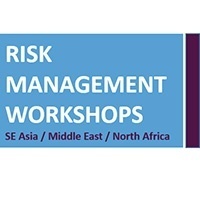 Dairy Export Council (USDEC) set out to do with its series of Risk Management Workshops. Three sessions were organized this year starting with one in Singapore (April 17) following USDEC's U.S. 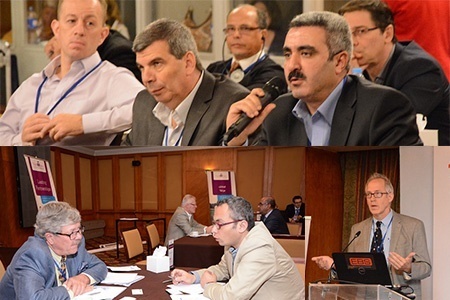 Dairy Business Conference and two others in Dubai, UAE on May 11 and Cairo, Egypt on May 14. Workshops were led by dairy market and risk management experts including INTL FCStone, Blimling & Associates, the CME Group as well as JDG Consulting. Altogether 162 buyers from across Southeast Asia (Indonesia, Malaysia, Thailand, The Philippines, Singapore and Vietnam) as well as the Middle East and North Africa (Algeria, Bahrain, Egypt, Kuwait, Oman, Morocco, UAE and Saudi Arabia) were educated about market dynamics influencing dairy price volatility, introduced to the role of the CME in dairy trading, and most importantly, exposed to the range and mechanics of hedging tools such as dairy futures and options. With world dairy demand constantly increasing, supply will be constrained. While the United States has the capacity to meet growing demand, it is important for buyers to talk to their U.S. dairy suppliers about the ways they can secure consistent supply by planning ahead and using risk management tools to mitigate volatility. Talk to your U.S. dairy supplier today! To find a U.S. dairy supplier, please visit our Supplier Directory.